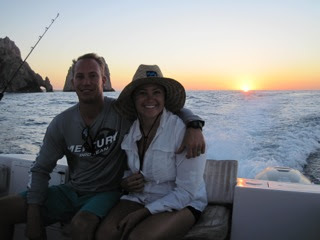 "Grant thank you so much for sharing your local knowledge with us while in Cabo. We also enjoyed our day on on the water with your professional captain and mate. The day was a bit sporty with winds gusting to 20 but in only took about 45 seconds from the first lure we deployed to get a bite! After loading up on some Skip Jacks for bait we headed further offshore. In no time we had our first Dorado on. After picking up our first cow and resetting we had another cow hit the right long. 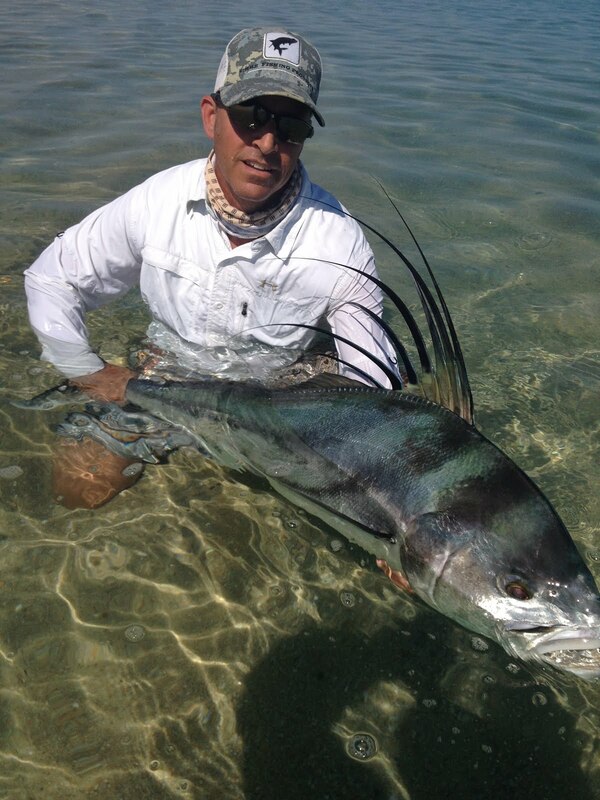 While I was fighting that the captain and mate cleared the rest of the lines and pitched out a live goggle eye and we soon had a double header with a nice bull smoking the drag on a spinning reel. He handed it to my wife Amanda and she held on tight letting the fish run. She faught it about 1/2 way to the boat and the fish dove deep. She let me finish off the fight which was a lot of fun on the lighter tackel. 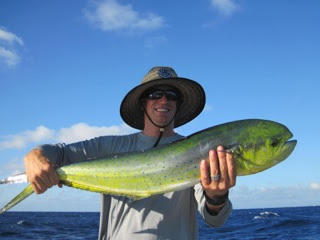 Set on enough Dorado to feed a small vilage we went in search of bill fish. The captain soon spotted a tailing Striped Marlin and showed me what to look for. We cleared the lines and ran up in front of him and pitched a goggle eye out back and waited for him to tail his way down current to us. Soon he was there all lit up and crcling the bait. He ate it and I let him eat it for for an 8 count and reeled tight. He was on and not knowing he was hooked yet. The bait came free and swam for its life, the captain instructed me to free spool it and sure enough he came back and ate it again this time taking off on an aerial assault which lasted for a couple minutes before dislodging the hook. Even though we didn't land that fish it was one of the coolest experiences of my life. We saw 2 more tailing marlin on the way in but they had already eaten lunch and were not hungry. It was a great day out on the water and fun to experience a change of environment from normally fiishing the Atlantic. 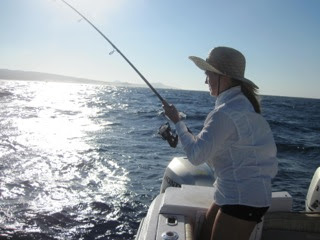 I highly recommend Baja Anglers to anyone looking for a unique fishing experience. 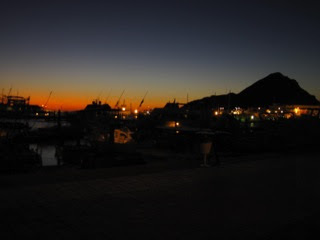 Light tackel fishing is where its at if you like the sport of it and are up for a challenge. 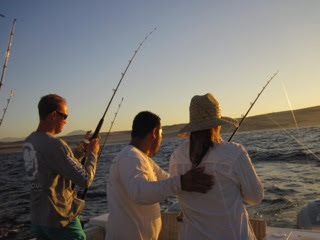 Again thanks for everything Grant we will definately be back soon with friends and booking more charters with Baja Anglers!